Currently on the test server and slated to hit live this week will be the new Planetside 2 Directives system, which will be their version of achievements. Players will be able to work through different Directives tiers, earn badges and show them off to the world. The development team aims to create a system that both guides new players, while being meaningful for veterans. Players interested in checking out the changes can do so now by logging into the test server, as well as help provide feedback and help find any bugs that might be in the game. Directives were originally introduced as a concept back in April. They are grouped up achievements that have five tiers, outside of the tutorial set. One nice thing that Planetside 2 is doing out of the gate is make these account-wide, so even characters that you create will be able to display badges you've earned, regardless of what character you've used to complete the goal. I think this is a really great part of their achievement system and I applaud their decision to go account wide. While I understand that not all games can do this – for example, I just started playing EverQuest II again, and things like map discoveries are tied into the experience system – it is nice when you work on an achievement and it becomes available for all of your characters. I especially think this is important for older content. I laughed recently getting the Kingslayer title on one of my two mains in World of Warcraft, mostly because I thought I had the title for both of my characters already. We were so overpowered for the encounter, anyway, that there wasn't any sort of accomplishment. A few days ago, Planetside 2's new producer, David Carey, just released a Producer's Letter. The gist of it is that Carey began as an EverQuest player and began his career at SOE as a QA tester ten years ago, and even though he is on the other side now, he hasn't lost touch with what it's like to be a player on the outside. He wants to open up communication better between the team and players and he admits that he has not been great at this to date. He's outlined a plan, which is still in flux, but hopes to create avenues where he and his team can become more transparent to the playerbase. Carey wants players to know not only when certain decisions get made, but also why they do. He understands that not all players will be happy with changes, but at least they'll know where the team is coming from. Also in the patch notes for the test build is a part on resource consolidation. All three resources have been combined into one new one: nanites. Nanite income, which is tied directly to warpgates, also replaces all previous resource income. Membership resource boosts will apply to nanites. All new players start with 600 nanites and the overall stack ammount has been decreased. If you currenly have more than the stack limit allows, you just will not be able to purchase more until you are below the limit. With the new limit also comes a consumable rebalance, adjusted with the new consolidation. 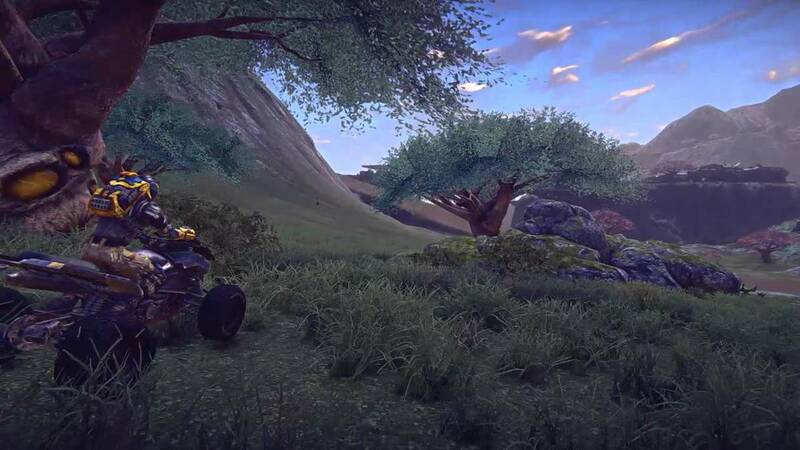 In addition, players can expect spawning improvements, outfits (Planetside 2's version of guilds) and recruitment polish, more balance passes, additional bug fixes, and more work to improve the content locking that the last Planetside 2 patch had introduced. For the balance passing part, a long list of changes. Most notably are the changes made to tank primary weapons, which will reduce the blast effectiveness to HEAT and HE. Have you been enjoying the current content patch and the new content locking system? What do you think of Planetside 2's take on an achievement system or Carey's push for better communication and transparency? How do you think the upcoming patch will affect the game?